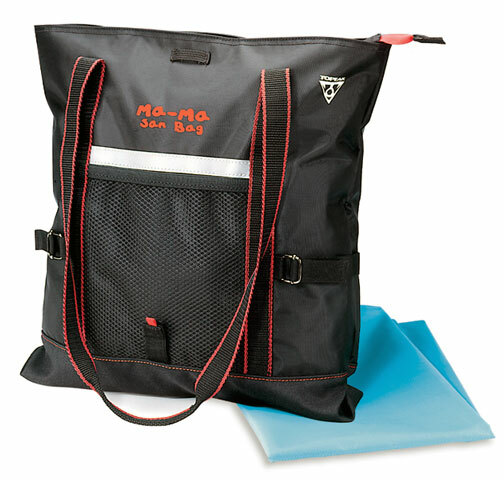 Description: Topeak Ma-Ma-San Bag - Large expandable main and inner compartments, side pockets, bottle holder. Nylon Changing Pad. Clips on back of all Topeak Baby Seats. Reflective Stripe. 7.5in. x 12in. x 8in. - 500g, each. We accept PayPal and all major credit cards via PayPal. A Paypal account is not needed, and you won't need to sign up for one. once the payment for the item clears, separate PayPal invoice for shipping and handling will be sent.Items are sent once payments are cleared. Please use the "Notes to Seller" field in PayPal to specify size and color where appropriate. We will notify you via email if clarification is needed. We accept international orders. Once an order is recieved we will invoice shipping charges at actual global express mail rates. Orders will be shipped on payment of shipping invoice. In case of return for any reason other than damaged or "not as described item. Shipping fees that paid by "bicycle doctor" are not refundable and buyer is responsible for shipping it back in original packaging .prior e-mail authorization is needed for any returns.